Historically the COALSCAN has been Scantech’s flagship. At Scantech, we are devoted to developing the most advanced and proven technologies available for our COALSCAN analysers, to give you more control of your process, greater productivity, and a rapid return on your investment. The COALSCAN 9500X is the ultimate on-belt coal analyser. 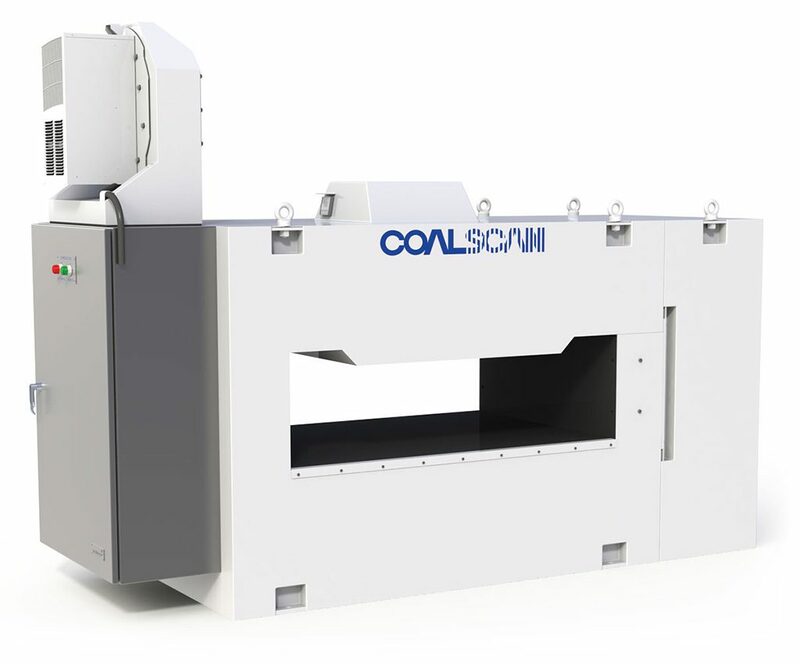 The COALSCAN 9500X utilises a combination of analysis techniques to monitor a wide range of coal parameters. These techniques include Prompt Gamma Neutron Activation Analysis (PGNAA) to determine the elements and ash content and a microwave moisture analyser. The COALSCAN 9500X provides continuous monitoring of the standard coal analyses Ash, Sulfur, Specific Energy / Heating Value and Moisture. In addition, the COALSCAN 9500X can monitor and report the major oxides in ash, such as: SiO2, Al2O3, Fe2O3, CaO, MgO, Na2O, K2O, TiO2, MnO2, SO3, and Cl depending on concentration. The COALSCAN 9500X has been engineered as a compact, fully integrated, single enclosure measurement unit which is installed on the conveyor and monitors the full flow of coal. Hundreds of plants around the world are using COALSCAN analysers to increase yield and make makes their operators’ working lives simpler and more productive. The calibration process uses a Patented technique that accounts for variations in bed depth and moisture content to provide accurate measurement of ash, moisture, sulfur and other elemental constituents of coal.